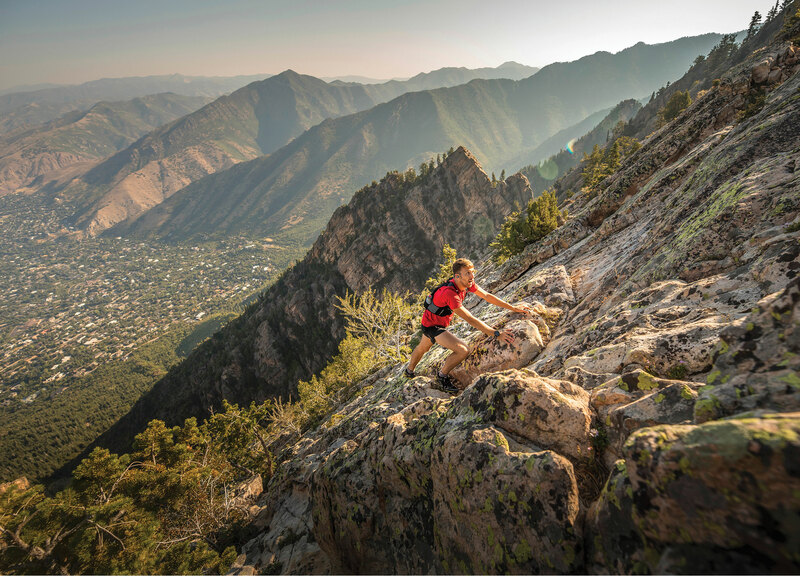 Beta: The West Slabs of Mount Olympus offer some of the most exciting and steep “trail running” that any area has to offer. The wide slab stretches more than 1,500 vertical feet and can be “run” on almost any section of it. Once the ridge is gained, you can continue up steeper trails to the proper summit, or just head straight back down the gully for a thigh-burning trundle on loose scree. This is definitely not your average trail run, but, if you have the skills, it is one that will leave you invigorated and feeling accomplished. Seasons: Late spring through fall, depending upon snowfall. Difficulty: The terrain is rated 5.5 by climbing standards, but most anyone with relatively decent climbing experience should be fine on the route, though it is certainly heads-up and should not be taken lightly. This is an extremely dangerous route that should not be attempted without ropes. Your article undermines the steepness of this slab of rock and the many people who have died trying to do what your article suggests. This is such an irresponsible article. Please do not attempt the west slabs expecting any kind of a trail run. This is a CLIMBING ROUTE where a fall would lead to certain death. There are belay and rappel anchors leading to the top. Many people climb the west slabs with rope, harness and traditional climbing gear. An ascent without ropes is called a free solo, not a trail run. This article needs to be removed for the safety of the uninformed.